Front / Rear reset facility provided, Hold / Restart options (selectable) during power failure. Digital, single window 5 digit 7 segment red LED display with up counting for process value. 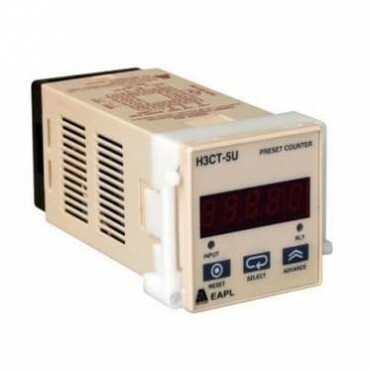 Features & Specifications :6 digit time totalizer Selectable least count, Remote reset .Display ..